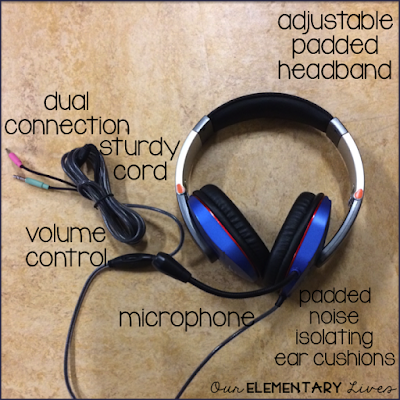 Headphones are an essential tool in my classroom. With the amount of time my students use the iPads for various reasons, our headphones get a ton of use. While my students bring them as part of their school supply list for technology class, I like to have some good ones to use just in my classroom. 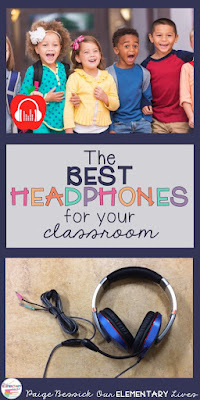 I have gone through many, many pairs of headphones and I have FINALLY found the best ones for your classroom. Keep reading to find out more. As I said before, I have gone through a lot of headphones, just in the last couple of years. First graders are really hard on them for some reason. 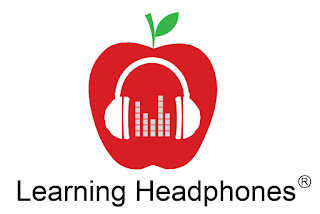 I am happy to say that these headphones from Learning Headphones fit the bill. They are perfect! 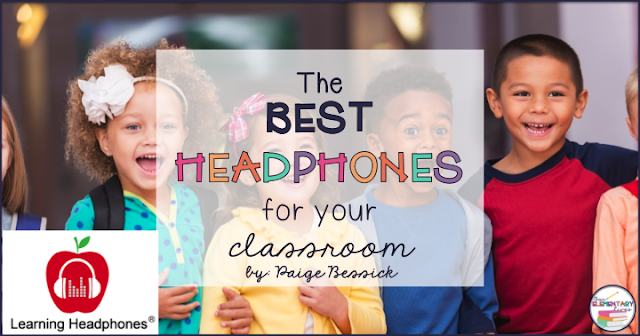 Here are 4 reasons why these are the BEST headphones for your classroom. Most headphones I have used have broken quickly. My first graders tend to be rough on everything (you should see our pencils 😉). I explain that they need to be careful and they insist that they are using gentle hands, but headphones still get broken. Not these babies! They are sturdy and look the same after using them ALL year. There is no little earpiece foam to loose. The plugins are sturdy, as are the head strap and braided cord. My students listen to a lot of audiobooks and these headphones make it seem like they've got surround sound. 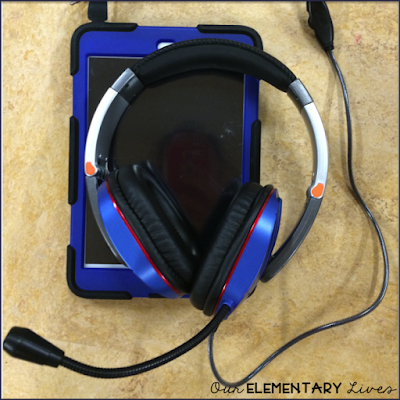 No joke, the sound is crisp and clear, perfect for listening to books, watching videos to learn sight words or using any of our favorite apps. I don't know about you, but I have a lot of shy, quiet little firsties when it comes to recording. For some reason, they get shy and sound like little mice when they are recording. The headphones I have, include a mouth piece that picks up their little voices. We just had a reading celebration where they recorded themselves reading a book these headphones were perfect for it. This is a fabulous company that is committed to helping teachers and students. 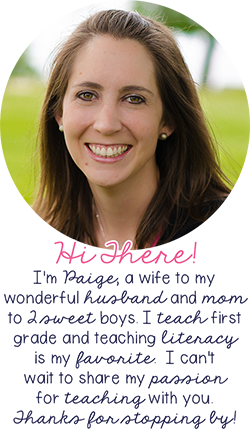 It is a family-run business with a mission to support teachers and provide us with the technology products that work for our classrooms. The prices are reasonable and the customer service is wonderful. There are also a ton of choices from regular headphones to ear buds, listening centers, headsets, charging stations and more. I have these, the Soundscape Multimedia Headset with Microphone (HB-S1M). Have I convinced you yet, that these are the headphones you need? I can guarantee that you will be extremely happy with these headphones. If you use headphones as much as I do, these seriously are the best ones and I am so glad I have them. If you found this helpful, please pin it so others can find it as well! I tried to find these headphones on the website, but no luck. Any chance you have a direct link? Can you share how you store your headphones?